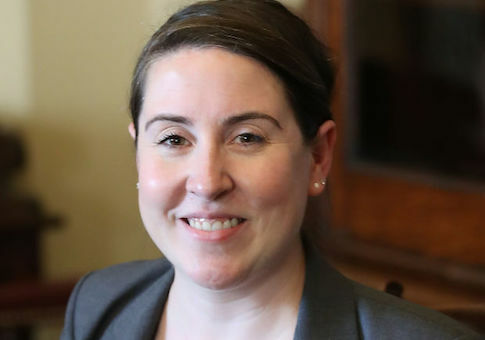 It is still unclear more than four months later who is paying for the lawsuit filed by Leandra English against the government to install an Obama political appointee as head of the Consumer Financial Protection Bureau. English's lawyer Deepak Gupta revealed last fall that English was not paying for the lawsuit herself, but he would not disclose who the mystery funders were. "I don't think it's appropriate for me to be talking about that on TV right now," Gupta told CNBC. "I think that's something that should be addressed by ethics lawyers who have studied this and are setting up a structure." Ethics lawyers have yet to come forward with details of the payment "structure." English is suing the CFPB in an attempt to go around the Trump administration to preserve Democratic leadership at the agency. Richard Cordray, the former director during the Obama administration, attempted to appoint English—his chief of staff—to succeed him. His plan was inspired by two left-wing websites. President Trump, however, appointed Office of Management and Budget director Mick Mulvaney as acting director of the CFPB. The general counsel of the CFPB, who was hired by Cordray, agrees that Trump has the full legal authority to make the executive appointment. So far the courts have sided with the Trump administration. In January, a federal judge ruled Mulvaney could continue to serve as acting director. U.S. district judge Timothy Kelly said siding with English would give the CFPB director "unchecked authority" and "insulation from direct presidential control." English appealed, and the U.S. Court of Appeals for the D.C. Circuit will hear oral arguments for the expedited appeal on April 12. Both English and her lawyer have connections to Sen. Elizabeth Warren (D., Mass. ), whose brainchild the CFPB is. English was a pupil of Warren, and helped develop the bank regulatory agency after the passage of Dodd-Frank in 2010. English was not a career official, but a political appointee during the Obama administration. She was first appointed to the Office of Management and Budget but shuffled between OMB and the CFPB over the past several years. Cordray named her deputy director before he resigned. English is still technically the deputy director of the CFPB, though it is unclear what she does all day. English's lawyer, Deepak Gupta, also worked for the CFPB and was the "first appellate litigator hired under Elizabeth Warren's leadership." Request for comment from Gupta and his office on whether he will disclose who is funding English's lawsuit was not returned. Warren has long decried money in politics. This entry was posted in Issues and tagged Consumer Financial Protection Bureau, Elizabeth Warren, Mick Mulvaney, Richard Cordray. Bookmark the permalink.